I visit pretty blogs everywhere I go! I have found so many lovely ladies who honestly deserve props for their beautiful displays. Whether or not they have done it themselves (they can share with a designer if need be), I wanted to give an award for having a pretty blog. I think it goes hand in hand with paying attention to every little detail. I will be giving out this award to a new blog every week or two. It is not meant to be a meme, or even a pass-it-on thing. 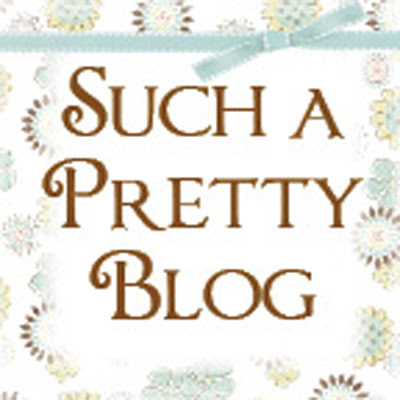 It is simply a postcard from me to say you have "Such a Pretty Blog!" The first honor will go to To The Moon and Back. Her blog is simply breath-taking! Go take a gander, it makes you wanna tidy up your own blog! Hello. I like your blog....I think it is very cute! OMG Gina! I don't know what to say other than I'm so flattered and you are too kind. I started blogging as a way to keep a journal during the wait for our adoption. Thank you so much for this award & Happy Holidays!